Sharing the week’s bookish news and the books & bookish goodies that I’ve bought, borrowed, won, or been gifted and have added to my bookshelves over the past week! I can’t believe that it is July!! I hope that everyone celebrating the 4th of July had a wonderful time with family and friends and kept the meaning of the holiday close to their hearts. Not much activity for me this week-I’ve been cutting a bit back on the blog this summer out of necessity due to extra time needed for work and family. A Young Adult Mystery Box filled with a mix of ARCs, Finished Copies and Signed Copies!! And an Adult Mystery Box filled with a mix of ARCs, Finished Copies and Signed Copies!! Gigantic Goodbye to Google Reader Giveaway! Clicking on book titles will take you to Goodreads. 2. He battles Attention Deficit Disorder every minute of every day unless he gets distracted. 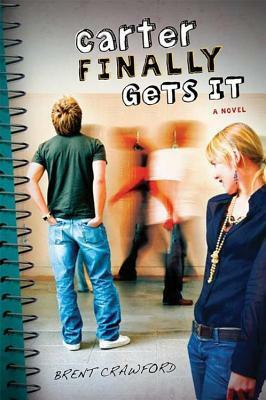 Seventeen year-old Nikki Harmon knows that her life will never be the same. Forced to move after her father’s death, she was determined to keep what was left of her life together–even if she couldn’t get cell service. What she didn’t know, was that she would encounter mythical creatures in her quest to solve the mystery of the Trail Killer, and that she would be torn by her feelings for two very different guys. As she unearths the deadliest secrets of all…will she lose her heart to one of them? Or will she lose her life? Carter Finally Gets It sounds cute. The year is flying by for me too. I am a new follower in a few ways. Looking forward to your posts. The summer is flying by! I hope you’re staying cool. I can’t believe it’s July either! Half the year is already gone! Have a great week! Hidden Nerds looks good, hope you enjoy. Don’t worry about cutting back a bit. Family, work, and real life need your attention, too! Hidden Moon sounds interesting. I hope you enjoy it! Have a great week, and thanks for stopping by my blog earlier! You have some amazing looking books….enjoy! And thanks for visiting my blog. Both books sound really interesting, I will have to check them out. I hope you enjoy them. Sounds like you had a great week. Love that Hidden Moon cover! Enjoy all the books and thanks for stopping by! 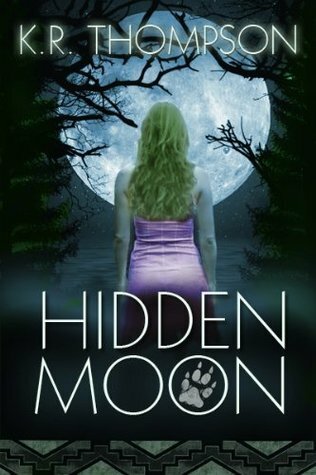 I am so feeling the cover of Hidden Moon! I may or may not be a sucker for werewolves ;). Thanks for sharing and happy reading week! I haven’t heard of those books. Hope you enjoy them, Melissa! The Light in the Ruins – Chris Bohjalian – Are you loving it? It’s SO on my to-buy list! Ooh I’m jealous you have One Tiny Lie!! Thanks for stopping by my blog. Have a great week! HIdden Moon sounds pretty good!